Mastercraft Kitchens are proud to be New Zealand’s largest network of locally owned and operated full service kitchen design specialists, with 28 locations nationwide. Your kitchen is the heart of your home so why settle for second best? Mastercraft Kitchens design kitchen and bathroom solutions specifically for your unique requirements and budget. With custom-made cabinetry and bench-tops designed to fit your space, we provide the ultimate kitchen design service. Everything from quality design, precision manufacture, and careful installation, for your new home or renovation project. Get what you really want for the right budget. Start by visiting a Mastercraft Kitchens showroom near you. 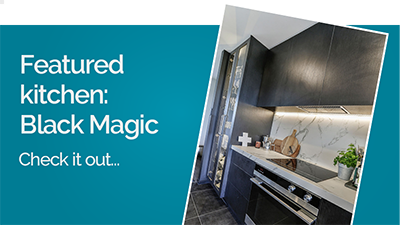 PHOTOS: Visit our kitchen design ideas gallery for a taste of inspiration for your next project and see for yourself some of the award winning bespoke designs manufactured right here in New Zealand for our satisfied clients. VIDEOS: Kitchen design tips and kitchen walk-throughs. 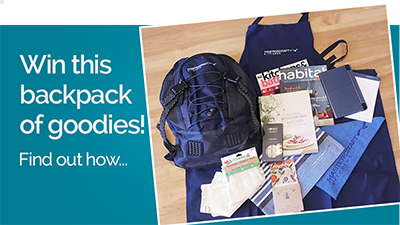 LOOK BOOKS ONLINE: Flick through our Kitchen Look Books online now! BOOK: Prefer to flick through a book? 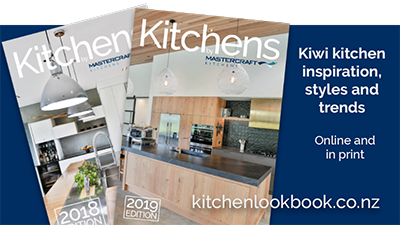 Order your FREE 2019 Kitchens Look Book – packed full of stunning kitchens to inspire you, along with great ideas for how to get the most of your new kitchen. INSTAGRAM: Keep update with latest kitchen trends and designs on our Instagram. FACEBOOK: Like our Facebook page and we’ll keep you updated with kitchen inspiration and more! PINTEREST: We are growing our Pinterest Boards – check them out here. We’re so confident in our craftsmanship that we offer an industry leading, ten-year transferable guarantee on all our kitchens. This gives you peace of mind, and provides a great selling point and reassurance for purchasers should you wish to sell your home.